WITH A SPECIAL MENTION HERE to Dave Meikle, Denis’s greatest friend, who offered to do all the driving and take him back in search of his family roots. So Davie, we salute you and Kathleen who had to put up with us for the week. 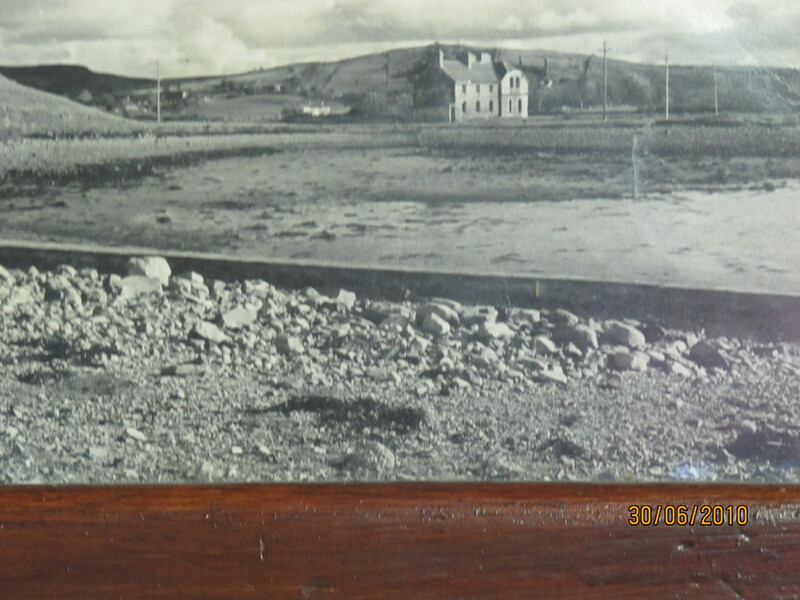 The original village of Cathair na Mart existed somewhere around what is now the front (East) lawn of Westport House. It had a high street, alleys down to the river and a population of around 700. It was moved to its present site in the 1780s by the Browne family of Westport House, who also renamed it Westport. Westport is designated as a heritage town and is unusual in Ireland in that it one of only a few planned towns in the country. The design of the town is attributed to James Wyatt, a famous English architect. He also completed Westport House, the stately home of the Marquess of Sligo and designed its dining room. Westport House had originally been built byRichard Cassels, the German architect, in the 1730s, on the site of the original O’ Malley Castle. The dungeons of the O’ Malley castle still remain. The most notable feature of James Wyatt‘s town plan is the lovely tree-lined boulevard, the Mall, built on the River Carrowbeg. In 1951 John Ford’s greatest movie “The Quiet Man” starring John Wayne, Maureen O’Hara and Barry Fitzgerald was made. It was set in the beautiful west of Ireland with filming being centred in the village of Cong on the Mayo-Galway border. Quiet Man Cottage Museum is a novel concept which will give the visitor a total Quiet Man experience as if they were actually ‘on-set’. Located by the river at Circular Road, Cong, between actual locations used for the filming, the ground floor of the cottage has been designed as an exact replica of ‘White-o-Mornin’ Cottage. 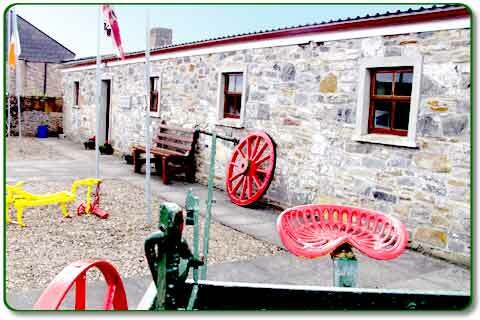 “Quiet Man Cottage Museum ” is a must for any Quiet Man enthusiasts, or even those wishing to visit a typical Irish cottage of the 1920’s. 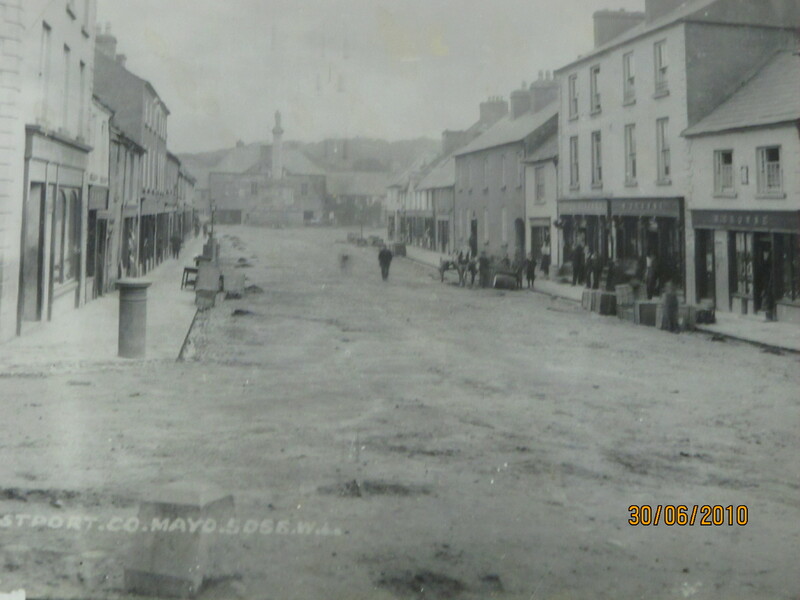 How did Mayo get its Name? County Mayo got its name from the diocese of that name which evolved from a 7th century monastery established by Saint Colmán and some English monks on ‘the plain of yews’, about 3km. south of Balla. 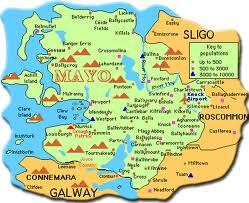 Mayo became a diocese in the 12th century, but it was amalgamated with Tuam about 500 years later. 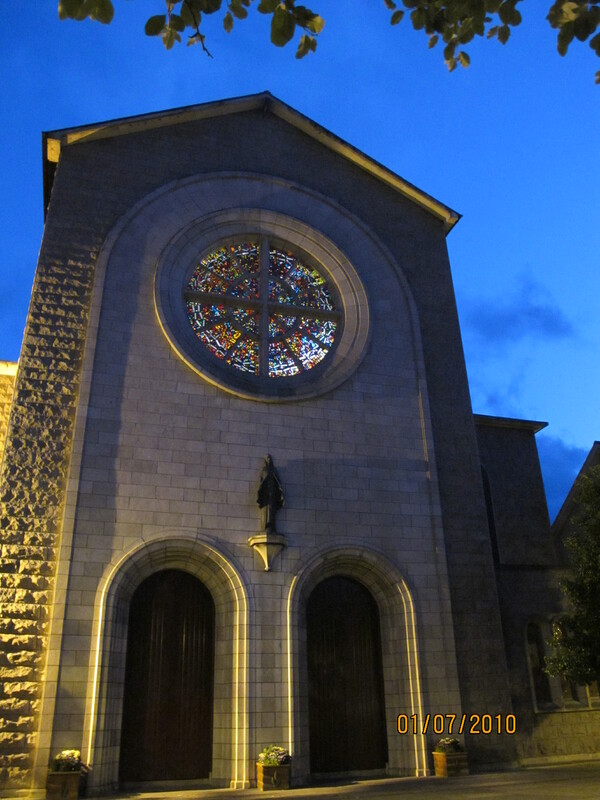 When the county was established around 1570, it was called ‘Mayo’after the famous monastery and diocese. The Irish name for Mayo is Maigh Eo , which means ‘plain of yew-trees’. Evidence of this settlement are still visible in Mayo Abbey as it is now known and there is extensive work going on there at present with the intention of reroofing the old church (pre-famine) and turning it into an interpretive centre for the area.. 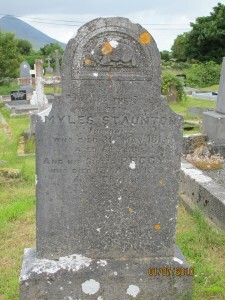 There was in County Mayo, before the famine approximately 45 homes whose residents were called Stanton/Staunton. 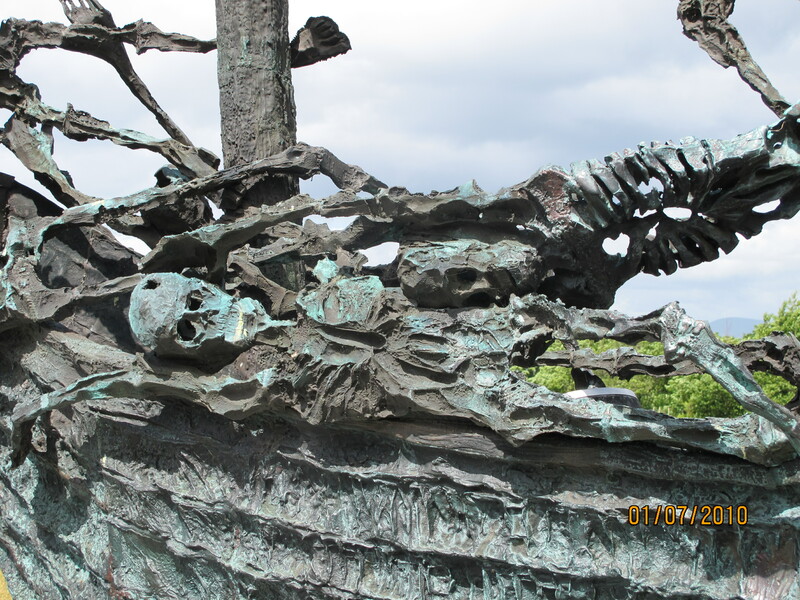 After the haemorrhage of the famine there was only 14 familis left. 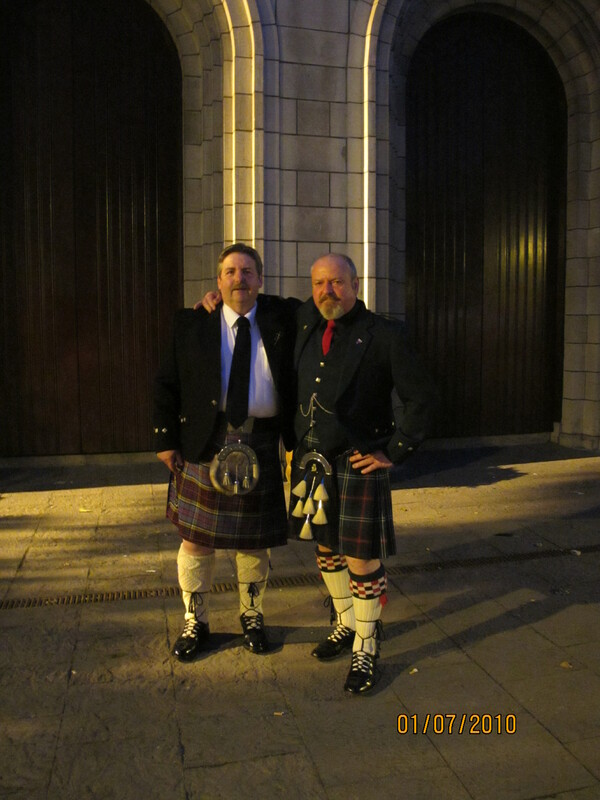 Some died, some emigrated to America and Australia and some came to Scotland and England. 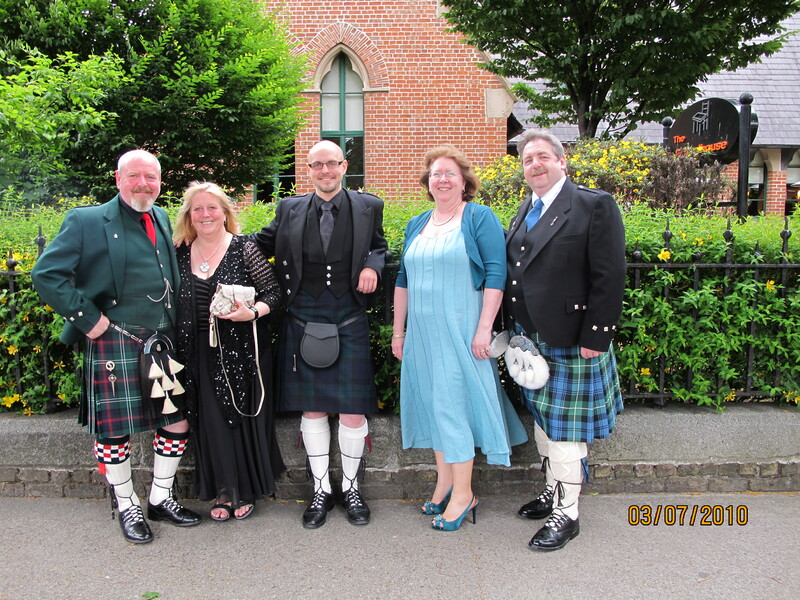 Some of our family settled in Edinburgh, some in Fife and some in Glasgow. But there were many Patricks, Edwards and Andrews and finding the right branches would become very complicated. Emigrants from Mayo in the early 1700s settled in Jamaica and Monserrat. By the end of the 1700s emigrants were leaving for Australia, America and Canada. 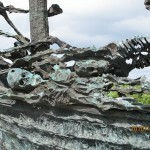 Famine emigration was chiefly to New York, Boston, Philadelphia and the north of England. After visiting the area in 2010 and discovering the small town for ourselves we realise that the Stantons would all have been closely linked families of brothers, cousins and the like, and all named after their fathers, mothers, uncles and aunts. Remembering that families in those days had ten or so children this would have resulted in many relations with the same names. But of course all the old folk are gone and their children are scattered. But hopefully through this website we can rekindle the family. 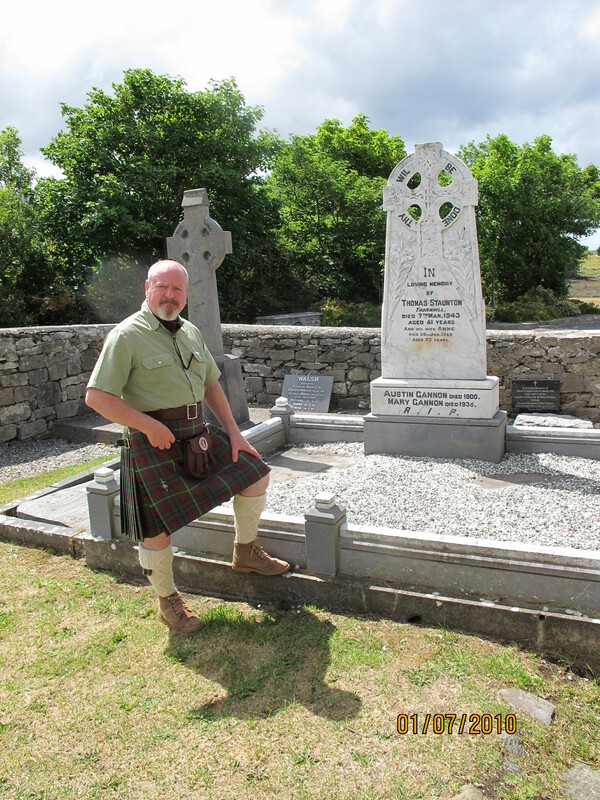 Walter Stanton was the forefather of the clan and we trace him back to 1790 in Westport, County Mayo. Walter was a crofter/farmer and would have lived outside the village. His son Edwardand daughter in Law, Margaret Grady, both described Walter as a Farmer in the census information given in Scotland. Westport (Irish: Cathair na Mart, historically anglicised as Cahernamart) is a town in County Mayo, Ireland. 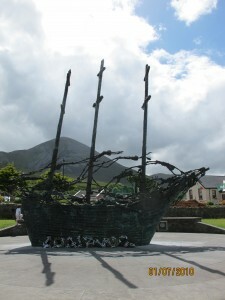 It is situated on the west coast of Ireland, at the south-east corner of Clew Bay, an inlet of the Atlantic Ocean. 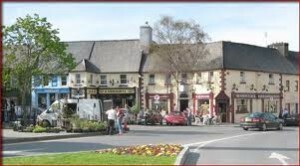 Westport has a gracious town centre, designed by James Wyatt in 1780, in the Georgian architectural style, and arguably approaches the pinnacle of 18th century, landlord generated replanned towns, ahead of such examples as Kells and Ballinasloe. Its layout follows the medieval principles of urban design introduced by theNormans in the 13th century. The design for the town was commissioned by the Lord Sligo of the nearby stately home, Westport House, as a place for his workers and tenants to live. A particular feature is the incorporation of the river into the composition, contained for two blocks by low stone walls producing, on each side of the river, attractive tree lined promenades (The Mall) with several stone bridges over the river Carrow Beg. 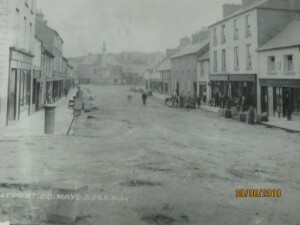 The layout further includes several tree lined streets, addressed by the narrow fronted commercial buildings typical of Irish towns, though with many here remaining of a singular refinement and charm. Some modern interventions, such as the Garda station, are less successful in maintaining the original continuity of the urban fabric. 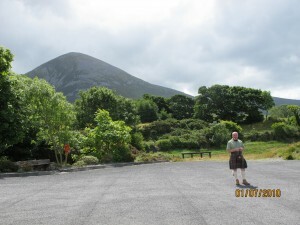 The famous pilgrimage mountain of Croagh Patrick, known locally as “the Reek” lies some 10 km west of the town near the villages ofMurrisk and Lecanvey. The mountain presents a striking backdrop to the town. The church on the summit can just be made out with the naked eye from Westport. 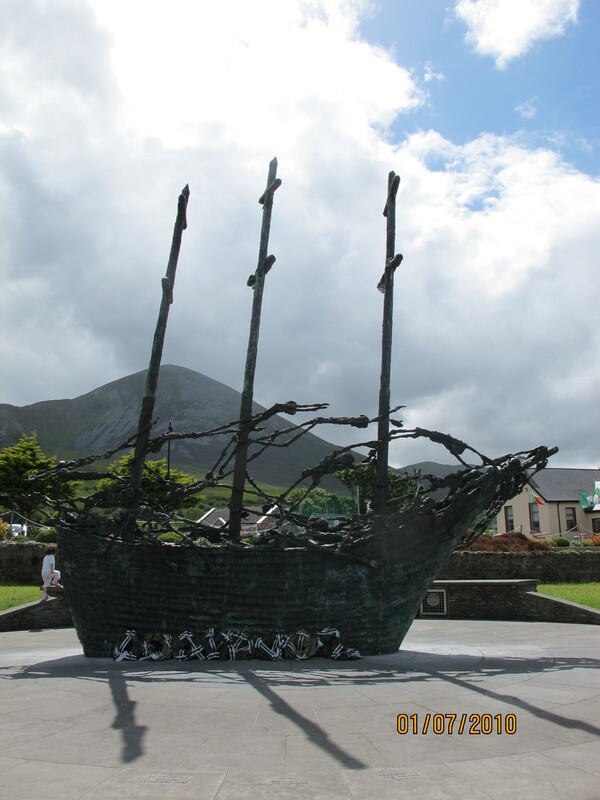 Westport originates and gets its name, in Irish, from a 16h Century castle – Cathair na Mart (meaning: The Stone Fort of the Beeves) – and surrounding settlement, belonging to the powerful local sea faring O’Malley Clan, who controlled the Clew Bay area. He married Marion Green in St. Mary’s Church in Westport which at this time was a small Church. 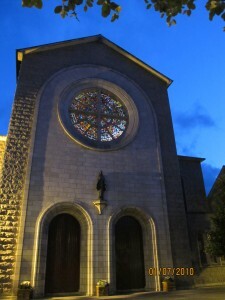 It is now the Cathedral. 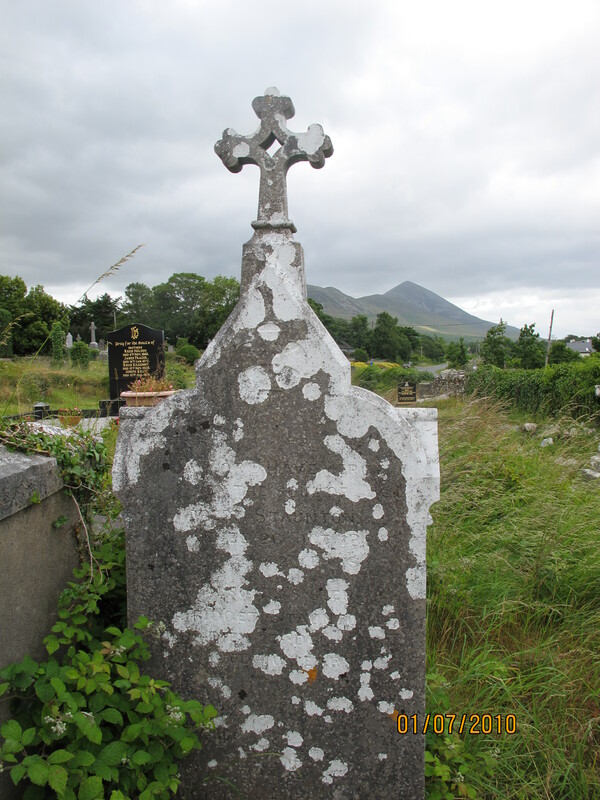 The folk from Westport spoke Gaelic until after the famine when the English language came in as a second language. They established their own local dialect of some common English words. In 1901 there was a national census in Ireland. In the town of Westport there was only one Stanton family still residing there and the address was 21 Bridge Street, Westport. Patrick was the head of his family, and he was a shopkeeper. He resided there at Bridge Street with his wife and 7 children. In the County Mayo area there were about 20 other families with the Stanton surname. .
All of the Heads of the families were described as Farmers, and they spoke both Irish and English. They were owners of their steadings and the majority of the older members of the family could not read or write. 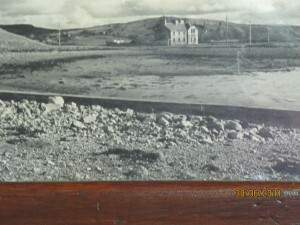 This would suggest that Farming was the main occupation of the Stanton family when our branch left for Scotland in 1850. We know that Walter Stanton was a farmer and he would have had many more children apart from Edward, John and Michael. Fifty years later in 1901 we find many branches of the Stanton family still working the land. There must be no doubt that some of these Stantons are our own ancestors brothers, cousins, uncles or aunts. 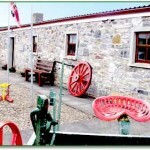 9 Leo, Loughanboy, Mayo, John Stanton age 57, Farmer, with family. He was born in Rosscommon. 8 Lisduff, Ballindine, Mayo, Catherine age 80, Farmer, with family. 7 Burris, Manulla, Mayo, Kate Stanton age 50, Farmer, with family. Hailing the snow, piled white and deep. So meek, so timid, afraid to stir. When her own dear boy is far away. My Great grandfather Patrick Staunton came to America in February 1867 with his wife Mary Linskey. 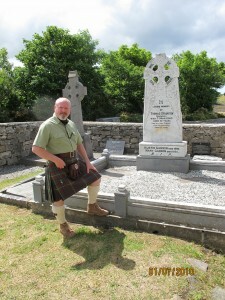 Patrick was a baker with his father John in Westport county Mayo. Thank you very for the info. There is no doubt that the family of Denis and yours would be connected. The town is very small and there would have been cousins, brothers, uncles and aunts all related. Hello There My Mothers Family came here from Ireland William Edward Diamond came from County Mayo. & My Anderson Family is From Galway & on my Fathers Side my Great Grandfather family was Patrick Williams Mayo. From County McCann, I think he said. I am a descendant of Nora Stanton who married a Thomas Diamond. They were the parents of John Diamond (born 1835) who married Ellen Tucker (born 1844). Ellen’s parents were Michael Tucker and Mary Lavelle. All were from the same area of Cong, Mayo/Galway. John and Ellen Diamond cameto the US and settled in Clarksburg, W. Va. If anything I have written connects with what you know, please contact me at katherynbuckman@gmail.com or 618-910-0701. John and Ellen Diamond came to the US and settled in Clarksburg, W. Va.
My family are from Ballydavock Drum and Patrick Staunton at Carrowstaunton in the above list would be a relative. Note we are Stauntons not Stanton and I’ve seen my own ancestors use both variations. 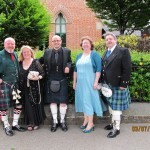 You can find me of Facebook Belcarra Genealogy Group. Michael Horan who lived in Cloonkeen in 1857 was my great great grandfather. His son Patrick corn about 1837 in Aglish parish came to Scranton,Penn. and eventually settled in Rhode Island. Hi, My great, great, grandfather John Stanton was born 1839 in Westport and married Mary Ann(she came from County Galway), then came to Stockport, Cheshire, UK, not quite sure when they arrived but they were first seen on the Stockport census of 1861, they both will have only been 22 yrs old, they had 7 children born here in Stockport this is the only information that I have on theses two,, Can anyone help?